One of the immutable laws of modern American politics is that no candidate who wants to win the Iowa Presidential caucuses can afford to oppose subsidies for ethanol. 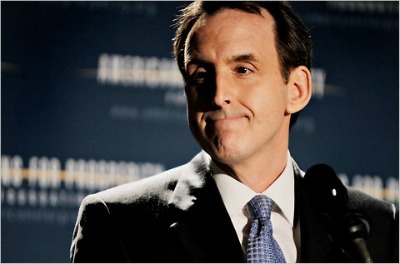 So it’s notable—make that downright amazing—that former Minnesota Governor Tim Pawlenty launched his campaign for the Republican Presidential nomination Monday by including a challenge to King Corn. I suppose its worth praising him for making a slight improvement to the Obama/Bush/Gingrich/*insert politician* doctrine, but it ends with slight. The “don’t pull the rug out from under them,” slowly-end the subsidy approach isn’t a real stance, and its not an end to the subsidies. Now, I’m not some out-of-touch politician. I served two terms as Governor of an ag state. I fully understand and respect the critical role farming plays in our economy and our society. I’ve strongly supported ethanol in various ways over the years, and I still believe in the promise of renewable fuels – both for our economy and our national security. But even in Minnesota, when faced with fiscal challenges, we reduced ethanol subsidies. That’s where we are now in Washington, but on a much, much larger scale. It’s not only ethanol. We need to change our approach to subsidies in all industries. It can’t be done overnight. The industry has made large investments, and it wouldn’t be fair to pull the rug out from under it immediately. When is ending a subsidy not ending a subsidy? When current preferential treatment is replaced with bigger, more damaging subsidies like infrastructure that sticks around for decades. When there is no talk of bringing the fuels market closer to an actual market by ending the mandates created by the Renewable Fuel Standard. Does anyone really think that 5 years from now the industry will go quietly into the night if the subsidies are once again “temporarily” extended? Of course not.